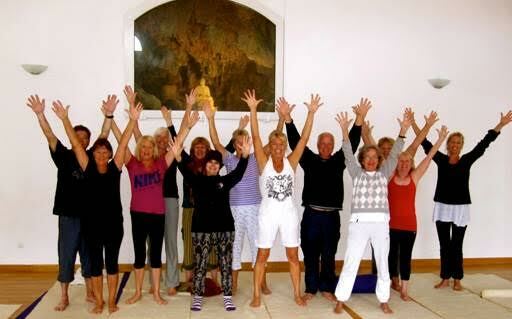 YOGA Retreat in Molino Del Rey, Spain. April 21 - 27, 2019. Klicka här för att läsa på svenska! Join us to this wonderful place that is getting better and better. 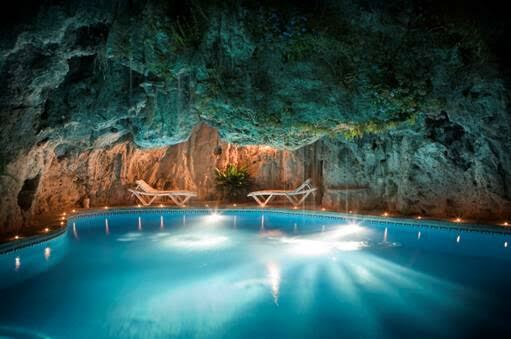 In comparison with all venues and retreats that I have been to over the years, this one has it all! For anyone who is looking for total peace of body and mind. 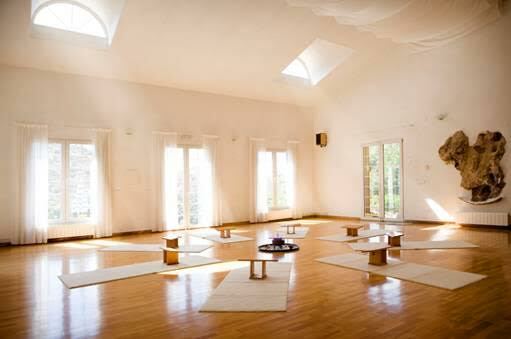 The yoga shala with its five meters high ceiling and meditation area give us a deeper dimension during the practice. 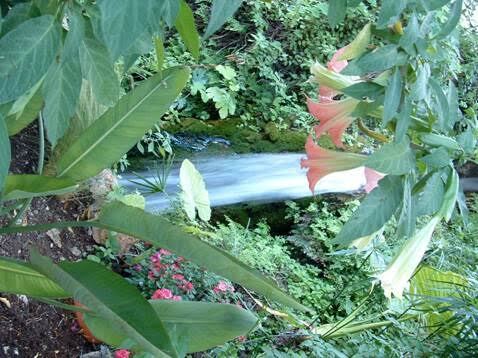 In addition we are surrounded by water falls and lots of flowers and plants. In fact, the whole venue is very tastefully designed. To enjoy the stunning and varied nature we strongly recommend walking. All seasons have their individual beauty. Enjoy everything that is on offer. The food is simply the best and without a doubt the best vegetarian food that I have ever had thanks to Gloria and Simon. Let us know if you have special dietary requirements. The rooms are beautiful and you will wake up rested every morning. This fantastic place is available for us. Let me know as soon as possible if you are joining. As always, it's about give and take. Don't miss this opportunity. Take it easy and I hope to see you this fall. For your stay to be as pleasant as possible please note the following information. Please read it carefully and don't hesitate to contact me if you have any questions. Contact details will follow at the end. We practice yoga 2-3 times per day. In total a minimum of four hours. In the morning an easy practice with the focus on breathing and stretching and a more physical session in the afternoon. We spend the evenings together singing, laughing, meditating and there will be several surprises. At least once we will heat up the big Swedish style sauna and a saltwater splash pool is also available. If you want a drink apart from coffee/tea/water you can buy it at your own cost. There will be opportunities to walk every day, together in a group or whatever suits. Bring comfortable shoes, trainers are suitable. If you wish we can arrange half a day to visit the historical town of Ronda and/or to the coast. We will then depart after the morning practice and breakfast and will return for supper and evening practice. The road is magnificent, almost unreal with mountains, valleys, and note, a lot of bends! The venue is smoke-free inside and its advisable not to drink alcohol during the retreat. 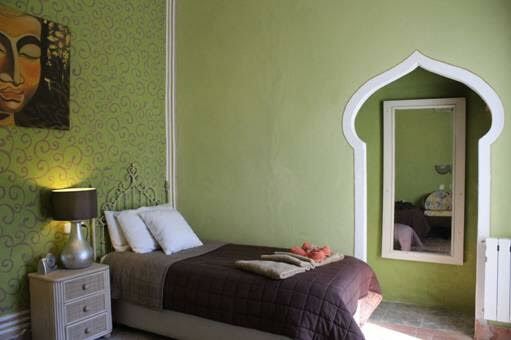 The price is 945 euros and includes the share in a double room. Please pay a 250€ deposit to book your space, checking there is still place available and then the rest 6 weeks ahead. The course starts at 6 pm with dinner on Sunday. Please be on time. Check out is next Saturday morning, around 11 am. It's important to be aware that from an administrative point of view this is a private property that we are renting and not a hotel. Make sure that you have travel insurance. All rooms have air conditioning cold & warm, comfortable beds, electric mattresses, hairdryer, kettle and safe. The rooms are not cleaned and you keep your bed linen and towels during the stay. Please bring your own towel to use by the pool and in the sauna. Large breakfast buffet and dinner are included in the price. The food is healthy, tasty and home cooked. Leftovers from the day before will be available for anyone who gets hungry between meals. Water, tea and coffee are available during the whole stay. www.supersavertravel.com www.rumbo.com www.vueling.es www.seat.com EasyJet, BA & Ryan Air & Monarch, Norwegian.